Prime Minister Narendra Modi addressed his last rally of the Bihar Assembly election in Darbhanga, at the courtyard of the town's historic fort. After the few thousand people attending the rally left, the ground bore a trampled look. The famous gate to the Lalit Narayan Mithila University was left broken. The walls were also brought down to make way for VIPs. Barricades were strewn all around. "Modi talked about development. 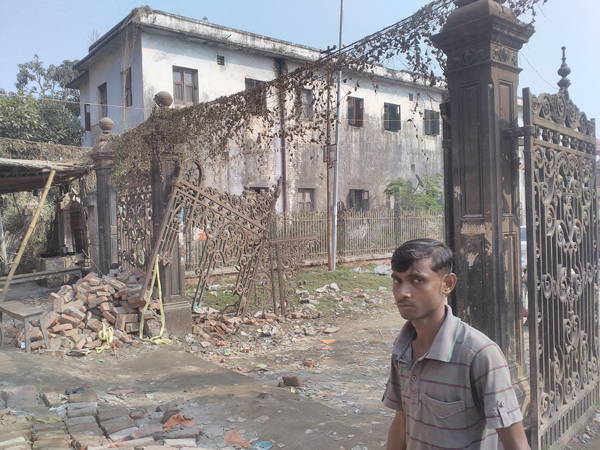 And this is what he left us with - a broken gate, which is part of the city's heritage," says social activist Narayan. The university administration has even complained to the police against the BJP, reflecting the anger of locals, especially students. "We don't even know where those people came from. Many of them were not from Darbhanga. 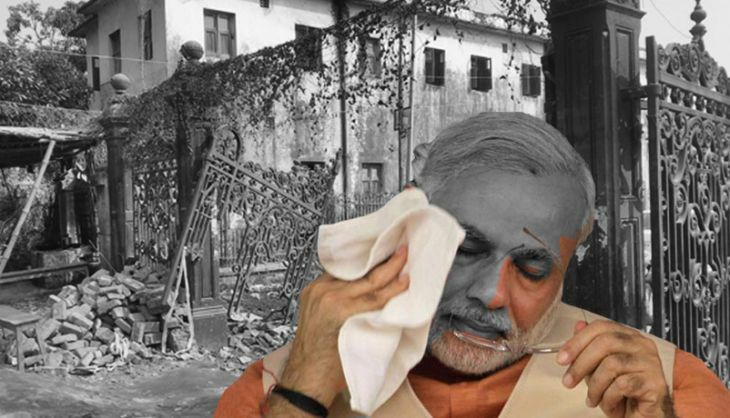 Is this how Modi wants to convince us to vote for the BJP?," says Rama Devi, a local resident. "He tried to polarise the constituency with communal remarks, without knowing that Darbhanga is an area where no communal tension has ever happened since independence," Narayan adds. "The raja of Darbhanga gave the maximum donation for the Banaras Hindu University as well as the Aligarh Muslim University. And Modi's rally has damaged the campus that stands on the land donated by him. Is this what they call development?" There is a Maithili poem that extols the virtues of Darbhanga and its people. (At every step, there are ponds. People are fond of fish and makhaana - water lily seed. They speak sweetly, and chew paan. It also prides itself on communal harmony. And the polarisation card played by the BJP seems to be boomeranging on it. Amit Shah's recent Pakistan jibe has already started showing an impact here. "This was a deliberate statement. It will certainly have an impact in Darbhanga, at least," says Akhtar Qureshi, convener of Anjuman, an NGO dedicated to Muslim issues. Mithilanchal has always been a BJP bastion. 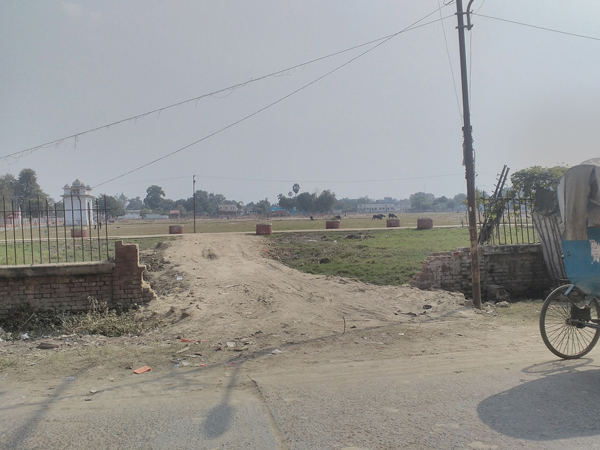 But on the roads of Darbhanga, flags of the JD(U), the RJD and the Congress are more visible. Party workers are more vocal and look more confident. We meet Raghunath Jha, who says: "Not every Brahmin is voting for the BJP." Kaushal Yadav, who's on his way to Muzaffarpur with his friends, says: "I will vote for Modi." But his friends give away the lie by laughing at this comment. In the last two assembly elections, Darbhanga has voted for the BJP's Sanjay Sarabagi. But this time, general store owner Ramesh Kumar says: "Modi says vote for change. We will vote for change. This time, BJP is not winning this seat." Many residents talk about Jagdish Shah, a senior BJP leader who is known for his clean and honest image. Ramesh says: "BJP has betrayed the man who built the party in the district from scratch. This will go against the party. I've always voted for the BJP, but this time, I will not." Motorcycle repair shop owner Prabhat Kumar is angry at the slight doled out to Jagdish by BJP president Amit Shah. "[Jagdish] started the BJP here. He served without reaping any personal benefits. He is from the RSS. He asked for a ticket, but the party betrayed him. 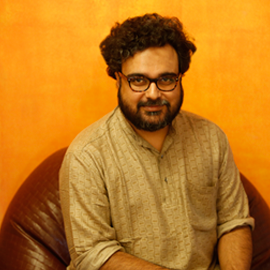 Jo apno ka sagaa nahi, hamara kya hoga (he who betrays his own, imagine what he'll be like to us)," Prabhat says. Jagdish has rebelled, and is contesting the election independently. This has made it a triangular contest, and things are looking favourable for RJD candidate Mithu Kedia. Says Prabhat: "I like Narendra Modi. He is a good choice for PM. But he will not become the CM of Bihar. The party has given a ticket to a man who has allegations shady land deals. On the other hand, Nitish has delivered. I am a BJP voter, but not this time. I am voting for Nitish." 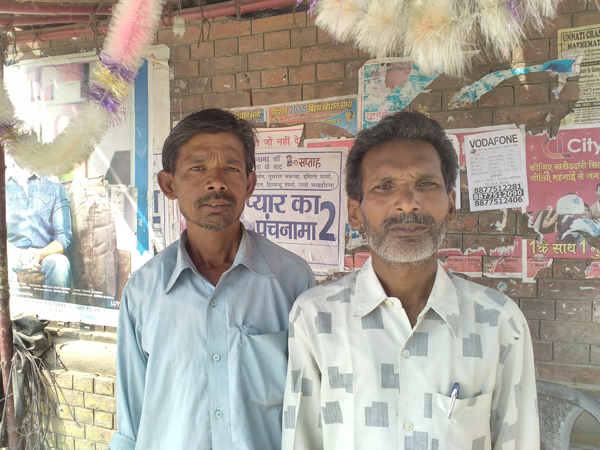 Prabhat leads us to a barber shop close to his shop, and introduces us to his friend Mohammad Yusuf. Yusuf tells us a story from a few days ago, when the end of the Durga Puja/Dussehra festivities fell on a Thursday. "Local BJP leaders delayed the idol visarjan, and tried to do it on Friday at the time of namaz, despite the administration repeatedly telling them not to make it coincide. When the police stopped them from making it a communal issue, they threatened 'BJP ki sarkar banne do, phir sahi kar denge. Road pe namaz band hogi'. And look at the speeches by their national leaders," Yusuf says. Even on the question of development, the BJP is not the favourite response. Trilochan Singh, who is a Professor of Economics at Darbhanga's Kadirabad, feels the fifth phase is about personalities. "Voters of Seemanchal and Mithilanchal also want development. Nitish Kumar has an unquestionable acceptability. But he is pitted against Modi, and that makes it an interesting fight," he says. But Trilochan's students are not enamoured by the PM. "Modi has not fulfilled his promise of depositing Rs 15 lakh in every account. Dal, as well as onion, has dropped off the common person's plate," seems to be the general consensus. "Nitish has done well. Look at our roads - Darbhanga is second only to Patna in terms of development." Out of the 57 seats that are at stake in the fifth phase, 21 are held by the BJP, while the JD(U) holds 25. In terms of the crowd at the rallies, there didn't seem much to choose between Lalu's and Modi's on Monday. But from the mood of the people, it's clear that the BJP would be lucky to retain its tally. Congress wakes up to protests. Couldn't it have taken the lead? READ NEXT >> Congress wakes up to protests. Couldn't it have taken the lead?